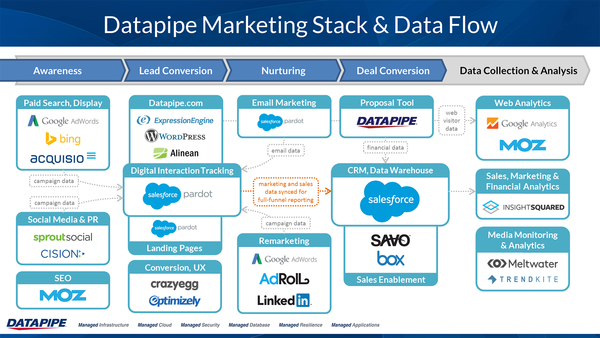 Datapipe – for organising its marketing tech stack around the buyer’s journey. Datapipe’s tech stack also clusters components around different marketing functions (e.g. Search Engine Optimisation, paid search, conversion, remarketing, email marketing, CRM etc), plus highlights the data flows between each technology. Before I go on, just to make sure that we’re all on the same page, what is a marketing tech stack? Or if you want to get a little more technical it’s a mix of software products and programming languages that allow the consumer’s side (i.e. front end – browsers, smart phones etc) to link to a business’ server side (i.e. back end – operating system, server, database etc). I’ll refrain from getting too technical, as I know my limit, and will therefore focus on three key words from the first definition. “Grouping”. Whilst the digital technology trends are changing all the time, it is important to see your solution as a group (or ecosystem). 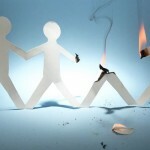 Hence you need to decide WHY they are in the group and HOW they work together within the group. “Leverage”. Whilst an overused marketing buzzword, it is important to remember that marketing technologies are to be used for advantage, not just because they are the latest shiny toys. “Improve”. And most importantly in the first definition, marketing technologies need to improve upon current marketing activity. So when considering your tech stack you need to be clear on what your current state is, and how you are going to measure improved marketing performance with new technologies in place. It also means that you need to consider external improvement (ie: advertising targeting technology, content management systems, social management, experience optimization, etc), plus internal team improvement (ie: customer tracking systems, marketing operations, campaign performance, analysis and insight etc). Having had many clients ask me about their marketing tech stack and data ecosystem, I have decided to write this post on some of the key issues to consider when building, or evolving a marketing tech stack. It’s not an easy topic as according to Radius.com, the average marketing team has more than 17 tools in their stack. And according to Scott Brinker at Chiefmartech, in 2015 there were 1,876 tech vendors in 43 categories. So, as you’re probably experiencing, it’s a minefield out there. So given the confusion and complexity here are 10 points to help make sense of it all. Before jumping into any technology journey it is critical to be clear on your business model. Whilst this sounds obvious, it’s important to be clear on what business you are in, what problems you are solving for consumers or customers, and why they should care about your brand / product / service in a world of increasing ‘sameness’. It is equally critical to understand your current and future growth strategies. 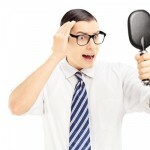 Where is your business heading within the category that you compete in? And how do you plan to maintain a sustainable growth strategy? Whilst you may compete in a highly complex &/or dynamic market it is important to at least have a view as to where you are heading. I spoke with a client recently who highlighted that their executive team has 3 conflicting directions. So it’s no wonder that their technology discussions are confused. And your marketing activity must align to your business growth strategy. So keeping it simple you are either wanting more people at the top of the marketing funnel, more leads in the funnel, or more optimized conversion and relationship building. It’s an analogy I’ve been using for the last decade, because it’s so easy to visualize. Just like a house, all tech solutions need to be built on a foundation. So make sure that you identify the foundation for building your marketing stack upon. Involve your CIO and most senior analyst, or Marketing Technology Officer / Marketing Operations Manager. These experts will ensure that you are not only aligning to enterprise systems, but that you are also aligning to the most important requirements. Requirements will vary based on your business model (point 4 below) as well as the focus of your marketing strategy (content and hence a content management system; advertising and hence automation, programmatic, retargeting, attribution software; or personalization / relationships hence the need for email, relationship management, experience optimization, and analysis software). There will be a foundational difference depending on whether you operate in a Business-to-Business (B2B0 or Business to Consumer (B2C), or Business to Business to Consumer (B2B2C) model. Each of the above will have different channel requirements for acquisition and relationship management, and hence significantly different foundational technology requirements. With so much marketing across digital touch points and solutions, tag management is crucial. Tag management involves a java script code that identifies whether someone has viewed or acted on your marketing activity. Tag management is a foundation for any tech stack discussion. 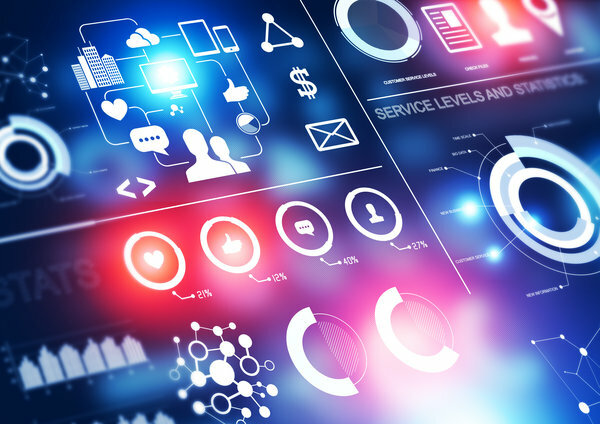 Whether it’s a data management platform, data warehouse, or single customer view solution, you will need a single source of truth about your customers or consumers. This will prevent an ecosystem with a variety of technology solutions each giving a different view of behavior. So it’s important to understand that your tech stack allows you to track consumer patterns throughout all tech platforms with data sharing through APIs and privacy protocols, and then have the ability to map back to a single consumer. I’ve taken “Customer” out of this sub-point, as it depends on your business model. I like to think of it as relationship management in its purest form. You’ll need to answer how do you want to manage relationships internally, with customers, and with end consumers. Again this will form a foundational pillar as it impacts across the prospect, lead nurturing, decision-making and ongoing relationship and service and support lifecycles. I always love this word and have heard it a ‘million times’ from tech vendors selling their wares. However beware. What does ‘scalable’ mean for your business? Do you want to outsource and then ultimately insource down the track? Do you want to build your own analytics capability and therefore rely less on the software analytics offerings? Do you want to run proof of concept activity and therefore be happy with batch or weekly data updates? Or do you want to run to 15 minutes, 5 minutes or nearer to real time? Ether way you need to have a close alignment to your IT team and overall enterprise infrastructure strategy. Scalability also means the ability to evolve based on performance. For example, executives at Twitter have openly spoken about undergoing several code rewrites due to the explosion of usage. They moved massive amounts of code from Ruby on Rails to the Java Virtual Machine (JVM) in 2010 – effectively rebuilding Twitter from the ground up. Transforming it from a monolithic application to about two hundred self-contained services that talk to each other. All due to the exponential growth and peak usage during events like The Olympics, sporting finals, and the US elections. And Twitter isn’t alone. Other Internet players have done the same including Google, Square, LinkedIn, and Tumblr – all relying on Java due to extreme performance scalability requirements. However just because Internet payers are doing it doesn’t mean you should follow. Do your own research. It’s a complex and confusing landscape, however can access a vast amount of expert opinions, reviews and articles on marketing technology solutions. Take a look at Gartner, Forrester, G2, and search through Quora, before meeting any vendors. Get up to speed with the key benefits, limitations, pros and cons that are relevant to YOUR business requirements. Be careful not to get caught up on generic observations or benefits that actually aren’t relevant to YOUR business needs. Often this means asking dumb questions that are in fact great questions because they are grounded in pragmatism and rationality rather than technobabble. I was having a tech discussion this morning, and I simply stopped the person talking each time they threw some jargon in and asked them what their definition of that word was or what it meant. They slowly got the message and started speaking openly and honestly from a business point of view rather than a glib sales message point of view. Finally, when embarking on a tech stack discussion, make sure you are ready for the transformation. It’s not just about technology, it’s more about your team’s ability to handle the technology and what the stack offers from a marketing perspective. You’ll need a more agile team with specialist knowledge around data, technology, analytics and communications. You’ll also need to establish a clear governance structure as well as processes to move quicker than you have before. This means you can’t afford to be stuck with an ‘IT ticketing system’ mentality of scheduling analytics work to uncover insights. You’ll need to measure campaigns and activity in campaign as well as post campaign in order to leverage (sorry) the promise of your tech stack. So there you have it, ten points to consider when discussing a marketing tech stack. However there are plenty more. Maybe you’d like to make comment around specific solutions and tools that you are utilizing in your tech stack? Or how you are coordinating a more cohesive experience across channels and touch points? Or maybe you’d like to raise the point that ultimately it’s all about Total Cost of Ownership (TCO), maintainability, and Return on Technology Investment (ROTI). What’s keeping you awake at night when it comes to your marketing tech stack?